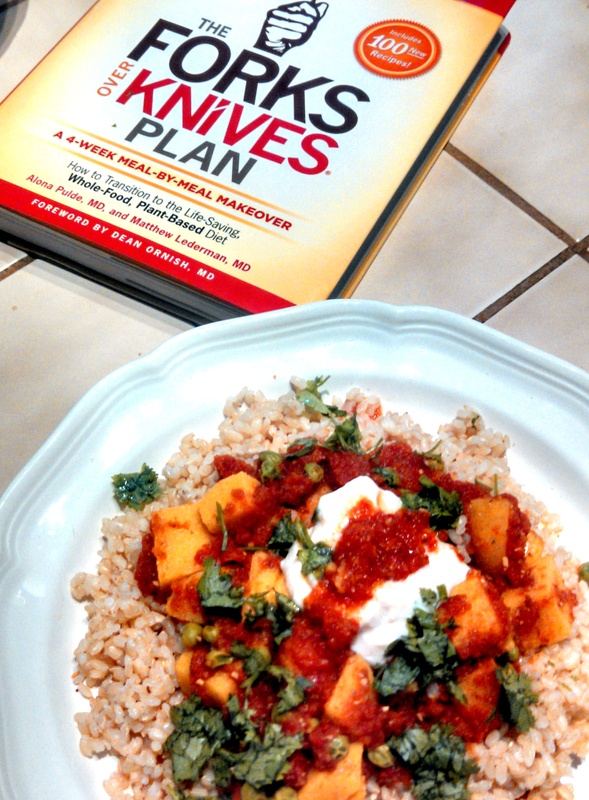 The new Forks Over Knives book is like a visit with the kind plant-based doctor you wish you had. You know, the doctor who is keenly interested in your health and well-being, assumes you actually ARE interested in taking practical steps – instead of pills – to be healthier. The doctor who believes you do have the drive to make better choices. The doctor who appeals to and honors your intelligence about it all. And what better plant-based doctors than the stars of the Forks Over Knives movie, Dr. Matt Lederman, and his wife and partner in plant-based medicine, Dr. Alona Pulde? Guess what was waiting for me in the mailbox? The brains behind Forks Over Knives, the movie – Brian Wendel – called me regarding the release of the new Forks Over Knives book, officially titled The Forks Over Knives Plan: A 4-Week Meal-by Meal Makeover. We were just a couple of days out from embarking on our safari to Africa, and I had my fingers crossed that my copy would arrive before we set out. Must have missed it by just a day – thankfully the Forks Over Knives team sent me a digital copy so that I could get started on looking through this delicious book while traveling. But frankly, I’m a hard copy kinda grrrl and was glad to get my hands on the bound version upon our return to finish reading. And now, I get to pass the goodies on to you – for the Forks Over Knives team has generously offered to give copies of the new book The Forks Over Knives Plan, not to just one, but to two of my lucky readers. 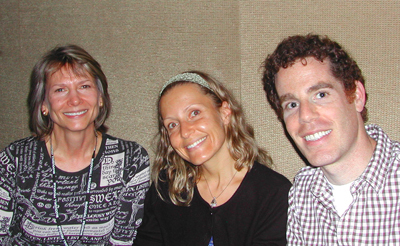 With Alona Pulde, M.D., and Matt Lederman, M.D. 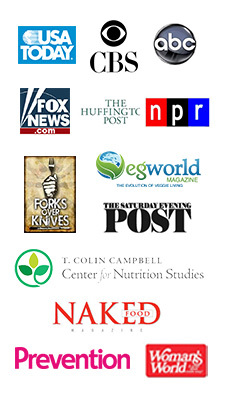 before anyone had ever heard of Forks Over Knives – hard to imagine! I interviewed author Matthew Lederman, M.D., for the Nutrition Principles chapter of my book Fit Quickies. I had the great good fortune of meeting Drs. 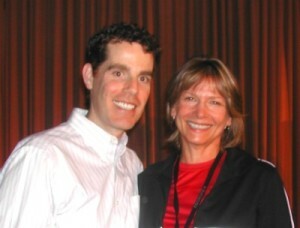 Matt and Alona a few years ago, before anyone had ever heard of Forks Over Knives, when I met up with them at an Advanced Nutrition Studies weekend in Santa Rosa, California. I tell people there’s your starchy vegetables, whole grains, and legumes as your foundation. Pick from any of those based on your preference, and then add lots of vegetables and some fruits. If you can do that for the rest of your life and make that where most, if not all, of your calories come from, then you’re going to do really, really well. So it’s just about trying to keep it very simple. ~ Matthew Lederman, M.D. And now, there’s a whole book for you spring-boarded from this simple philosophy! The authors then present a sensible pathway for transition in the form of a 4-week transition: meal by meal, starting with breakfast and progressing through lunch and dinner. Broken down by chapters, Week One is Breakfast, Week Two is Lunch, and Week Three Dinner. Week Four is “Fine Tuning You Lifestyle”. Each chapter is brilliantly peppered with tips and information via “Let’s Get Practical”, “Eye on Nutrition”, “Making it Work For You”, and “Getting Personal”. Then, on to the eats! The Forks Over Knives Plan also has a robust recipe section jammed with contributions from Darshana Thacker and Del Stroufe. Experienced plant-centered chefs both, their expertise shines through in their entries. While looking through the recipes, I knew right away which one I wanted to make to share with you. The Polenta Curry. It had never occurred to me to put curry and polenta together. We had it last night over short grain brown rice, and it is brilliant! Polenta Curry cooking on the stovetop. The recipe called for making a quick batch of polenta for cutting into cubes later to add to the curry sauce. I was certain I had polenta on the shelf, yet when it came time to prep the polenta, my jar of golden grains was nowhere to be found! I was disappointed because the polenta portion of this recipe calls for caraway seeds, which sounded absolutely enchanting – and I’d picked up a fresh jar at the natty foods store just for this occasion. In a way, though, I’m glad I couldn’t find it because it allowed me to share with you a way to make this recipe a faster process in a pinch – I simply used a pre-made tube of sun-dried tomato polenta from Food Merchants that I had in the fridge. This cut cooking time and makes a great substitution for home-prepped polenta. Of course, wouldn’t you know it, later I found the polenta hiding behind the brown rice in the pantry! Next time, I’ll star the polenta from scratch – caraway seeds and all. The only other adjusts I made in the recipe were to eliminate adding the extra three cups of water that was to be added to the curry sauce. It was perfect in flavor and density just as it was without extra water, and I feared it would get too watered down. You may find otherwise, of course! There are several recipe sub sections – Breakfast, Wraps and Roll-ups, Salads and Sides, Soups and Stews, Casseroles, Pasta and Noodles, Dressings…and of course, desserts! 1. Which meal have you found easiest to transition to plant-based: breakfast, lunch, or dinner ? Be sure to name you favorite eats for whichever meal you pick! 2. Which meal could you use a little more assist with when it comes to prepping or dining plant-based? That’s it! No right or wrong answers – just share your thoughts to enter in the fun and snag an opportunity to get a gift copy of this book. The winners will be randomly drawn from all entries posted by 9:00 a.m. P.S.T. Friday, September 26. 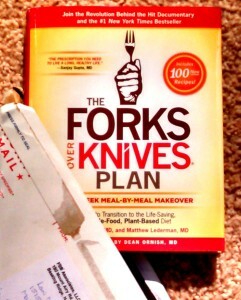 The Forks Over Knives Plan. 2. My challenge is dinner. I have the habit of building it around a meat so struggle a bit with that. I like soups and chilis, but like a main dish that I can dig a fork into! 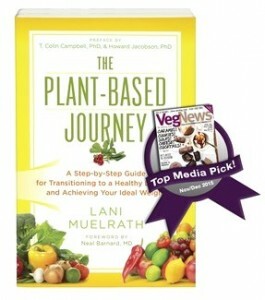 Thanks for the chance to win a copy of this book and thanks for all of the inspiration and work you do Lani! The easiest transition was the breakfast. I almost always start with oatmeal (so quick and easy) and then just vary its accompaniments, sometimes pumpkin and cinnamon, berries, banana, some shredded wheat for crunch on the top, always some flax meal or chia seeds, or as Mrs. Esselstyn suggested and I tried dubiously the first time, grapes! Wow! Delicious! Most difficult transition, at least the first couple of times, had to have been holiday dinners for the family omnivores. Now they love the stuffed acorn squash, lentil loaf, mushroom gravy, cobbler! Thanks for all your great work, Lani! Combining fitness and health for us! The hardest has been dinners that my non-vegan husband enjoys. My favorite recipe for that came from Isa’s Appetite for Reduction. It’s a delicious vegetable lasagna with cauliflower/tofu ricotta. So good! The easiest was breakfast. Nothing beats whole grain toast with pumpkin butter! BTW, my previously non-vegan husband is now almost completely vegan! See what great recipes can do! Hi, breakfast easiest to transition. Lunch is hardest as I have to pack some kind of lunch. Breakfast was the easiest for me. I love oatmeal now with a little bit of fruit and/or cinnamon. Brown bag lunch has been the toughest. Leftovers are good and quick, but sometimes get boring. I am tempted for convenience food since I find cooking for one a challenge. I often am missing ingredients for recipe so just go for easy. Well, I’ve been doing this so long they’re ALL easy, but I guess I’d have to say breakfast, since that’s nearly always been plant-based for me anyway. I eat a lot at breakfast. My current favorites are a version of my decadent Kale breakfast salad (with a sweet dressing made with carob and mashed banana and ginger) and big bowl of oatmeal cooked with a chopped dried fig and topped with a few banana slices and a splash of almond milk. Golden flax seeds in both, too. Looking forward to checking out this book! Thanks! Breakfast is the easiest. Fresh fruit outa green smoothie. I find lunch to be the most trouble. I’m usually on the go so the planning is always tricky. Breakfast was the easiest meal – just switched to almond milk. Dinner is the most challenging. I find Lunch to be the easiest – I make a huge pot of stew/soup for the week just full of veggies, then make salad or fruit with hummus to go with it. Dinner is my hardest as I’m feeding a omni spouse. I usually have no trouble with lunch or dinner. I particularly love making soups, as they are forgiving and keep all the nutrients. I love lentil soup, vegetable chili, potato soup, white bean and kale, and more. At times I feel tired and don’t want to do much for dinner, and that is when I am likely to grab some kind of convenience food, vegan but not that healthy. Breakfast is a little more of a challenge. I like oatmeal but don’t want it every day. I make tofu scrambles, which I love, but I eat too much of them. 1. The easiest is lunch and snacks. I love make a kale salad and add white beans to it. I make my own dressing of vinegar and oil and add a little mustard. 2. Breakfast seems harder for me. I make smoothies every morning or I eat oatmeal. There must be something else. The morning is when I have a time crunch to get ready to get out of the house either to go to a workout class or work. Breakfast is easiest for me – smoothies or oatmeal. Dinner is more of a challenge after a long day at work. Preplanning is so important here. Breakfast is the easiest because I didn’t have to change a thing: grain-meal (oat, quinoa, millet) with walnuts, ground flaxseed, cinnamon and whatever fruit is in season. Dinner is the hardest since most of my go-to recipes from the last 40 years really don’t fit my new eating lifestyle. I especially struggle if I’m having guests. I need new favorites that become so in-grained that I can easily whip them up! That polenta curry looks to die for!! 1. Breakfast has been the easiest meal for me by far. Oatmeal with fruit, no-oil hash browns with greens & mushrooms, smoothies, and fresh fruit are favorites for this mealtime. Lunch is also pretty easy. I typically have a combination of some of the following: leftovers, a huge salad, baked potatoes (reds or sweets are my favorites), beans & rice, a large wrap stuffed with no-oil hummus & veggies, soup, fresh fruit, etc. 2. The most challenging time of day is dinnertime. If I don’t get home (or wrap up my work when I’m working from home) early enough to prep & cook before I am hungry, I get in trouble. On these days, I typically end up stopping for something on my way home or throwing together something quick at home. I always strive to choose healthy options, even in this case, but nothing is as healthy as a home-cooked meal, since it gives me complete control over what is going into the recipe (and my body). I do best when I set aside time on once a week to prep fruits, veggies & grains, but some weeks that just seems impossible to accomplish. Thanks for another great review, Lani! This book is on my wish list for my upcoming birthday! 1. Breakfast is the easiest because I usually keep it simple with oatmeal and fruit or a whole grain bagel and homemade oil free hummus. 2. Dinner is the hardest because our family is divided with 2 vegans and 2 eating the SAD. I have found having bean or lentil burgers on hand or making soup or chili in a pressure cooker to be helpful. 1. Lunch is my easiest meal, because I have a bunch of small containers in the freezer with split pea soup, 3 bean mole, or some other stew to add to my bowl of rice base. 2. Supper is my most challenging meal, because I want to eat freshly prepared food, not frozen food microwaved. Also, I don’t want to eat heavily at suppertime, so it’s a challenge to make sure I’m not being a glutton with whatever meal I concoct! 1. Lunch. Beans on My Bread with Basil and Sriracha. Yum. 2. Dinner because I don’t always know what vegetable to eat. Otherwise, I love them all. My biggest challenge is fixing healthy plant-based meals for my very carniverous husband and son that they will actually eat! Lunch and dinner are usually easy with a BIG salad and a variety of beans and starch on the side. Breakfast still challenges me since I used to have a bagel and cream cheese and fruit on the side nearly every morning of my adult life. Actually, eating is easier the more I choose to eat a WFPB diet — a yummy variety of foods is available to us in every dish. Thanks for the giveaway! 2. Dinner- time is always against me and my stomach wants food now!! 1. Breakfast was easy because I Iove oatmeal with fruit and cereal with almond milk. 2. Dinner is the hardest because of the time constants…coming home late from work and having to prepare a meal. I make a salad ahead of time but I need more for dinner! Breakfast was easiest for me…just had to replace cow’s milk with soy, rice or almond milk on my cereal. Breakfast was easiest, since we already do various fruits, nuts, and oatmeal in the AM. Most difficult was LUNCH! Packing lunch to go for 6 people every day is tough! Love the FOK cookbook- does this have new different recipes? Breakfast-how can you go wrong with oatmeal. There’s so many ways to spice it up, or just eat it plain. I have oatmeal every morning, sometimes raw, sometimes cooked. The meal I would like ideas for is lunch. I usually have last nights leftovers, but id like lunch to be a special event too. 1) Breakfast was the easiest. EVERYONE loves hash browns cooked in the quesadilla maker with homemade toast. The grown ups add sauted onions and peppers with garlic on top of the browns. 2) DINNER!! That one is a big one for me here. Some nights we eat a little later than I expect. We are a large family, 8 of us total, and prep can be a little overwhelming at times. That’s a LOT of chopping and dicing with all the wonderful fresh veggies! I do plan our meals weekly but sometimes forget the amount of time it can take to chop and dice for 8 people, 6 of them being VERY HUNGRY kids!! Breakfast cereals with plant milk was the easiest switch to start, followed by some dinners like black bean tacos, and spaghetti/sauce, bean burritos etc. I could use help to perfect some breakfast items like tofu scramble and a good French toast (mine have been too wet inside so far). Thank you! 1. Lunch has been the easiest. I work from home and I’m the only one here, so I don’t have to worry about cooking for more than 1! I often prep veggies for the week so I can do a simple meze platter with hummus and veggies, or my favorite: a quinoa bowl chock full of greens and veg. For me, it’s all about making it fast and clean so I don’t have to spend much time away from the computer. 2. Breakfast has been hardest for me. I do lots of oatmeal but am not always in the mood for it. Fruit on its own doesn’t really satisfy me, and it has to be quick so I can get right to work. I love almond yogurt and granola but that gets expensive SO fast. Breakfast was a piece of cake. Oatmeal and smoothies rule! I def feel like lunch was the easiest meal to transition into.. I usually have some kind of citrus fruit first than a salad usually kale with mushrooms tomatoes carrots cucumbers and cranberries and sesame ginger dressing. I would say lunch has been the easiest. I pre-make lots of salad and dressings, add beans and i’m good to go! Both Breakfast and dinner can be challenges. Breakfast because i only ever have a smoothie or oatmeal. If i were only cooking for myself i’d be happy with a very simple dinner, but i feel a certain amount of pressure to keep dinners really interesting for my husband to keep him ‘on board’ with my WFPB agenda! I don’t mind the cooking, i just wish someone would tell me what to make every day and i’d be happy to do it! Breakfast has been the most difficult meal to transition. I did low-carb for years…eggs and animal protein. I’m starting to get into oatmeal and I love tofu scrambles with veggies! Dinner is the easiest meal to have fun with. Love making animal protein based meal into new plant based versions. Just made a soy chorizo paella this weekend! I find breakfast the easiest for me. By far, dinner is the hardest as my husband does not eat vegan so by the time I cook his dinner, I am too tired to cook vegan for myself. I should make a dinner over the weekend and freeze it for during the week but it’s hard to sometimes find the time. Any help would be greatly appreciated. Breakfast has been the easiest since it’s always been cereal or oatmeal with soy or almond milk and fruit. Dinner is the biggest challenge because I want to be accommodating of my husband who is not a vegan. Dinner has been the easiest transition for me, even though my husband remains a meat eater. At dinnertime I have the time to prepare a delicious meal. I’ve made curries, soups, beans and grains, salads and portabello burgers. On occasion there are leftovers. Lunch remains the most difficult, unless I go out. I am always going through recipes looking for something that is either quick and easy, or easy to mass produce and maybe freeze. Some mornings even oatmeal is too slow, and I definitely don’t get a lunch packed on days like that. Breakfast was my easiest because I love fruit and grains. Dinner has been hardest because struggle with herbs, sauces and dressing to flavor my food. Everything taste bland to me. I get my pound of steamed veggies at breakfast followed by oatmeal, so that’s been the easiest. The hardest is trying to find things to send to work for my husband on these 107° days. He’s not a big salad eater and it’s been too hot to reheat left-overs. Easiest was probably lunch. Soup, salad or sandwich, just different components. Dinner was the more difficult when I started because my husband wasn’t on board so it was either two meals or finding things he would eat. Now that we both eat the same way it’s much easier. Breakfast was the easiest because I was already eating oatmeal-my favorite! I just started adding cinnamon, flaxseed meal, walnuts, and soy milk! I have fresh-squeezed orange juice and water to go with it! Yum!!!! Dinner has been the most challenging because I am not very hungry, so I have been having fruit (banana or apple with nut butter), with wasa crackers and hummus! I have already had my greens during the day, including salad at lunch and spinach in my smoothie in the afternoon! I also had my beans and other starches during the day! I’m needing help with knowing the appropriate spices, seasonings, and sauces to go with my greens when I fix them alone! Otherwise I put them in soups and stews! Thank you for your help and your great website and your emails! I have learned so much and want to keep on learning! Dinner was easiest because the variety of veggies, tubers, grains, beans, and fruit could be cooked plain or in tasty combinations. It was easy to get creative. Breakfast was hardest, because I couldn’t find anything besides oatmeal or pancakes to cook for my children. Getting my children on board with plant-based eating makes every meal a challenge. 1. Breakfast is the easiest meal to switch, fruit/vege smoothies, oatmeal… Also lunch, salads with beans etc. 2. Dinner ideas from the new plan would be great! 2) Dinner was the most difficult as I needed to cook for non-vegans as well, but now that everyone is on the same page, it’s no problem. Thanks for offering the book give-away! Breakfast is easiest. I typically have a smoothie with frozen fruit and kale/wheat grass, but on weekends I love scrambled tofu and home fries. Dinner is harder as it takes more thought and prep and I’m often cooking for meat eaters so I want to prepare really awesome plant based dinners to show how delicious eating this way can be! Easiest is breakfast which was usually plant based anyway. Dinner is fairly easy except for holiday and when company comes. Lunch is the most challenging as it was always grab something quick through the business of the day . It takes more planning and thought. We’ve been plant based for 2 months now, breakfast was easiest because we are doing oatmeal every day. I just mix it up with different fruits and spices. Our fave lately is with diced peaches, dried cranberries and cinnamon. Dinner is more challenging because my hubby is not happy about vegan, however there are so many awesome recipes it’s been a culinary treat. My fav right now is the baked mushroom rice risotto. MMMMM good. 1. Dinner – Love those MorningStar Chipotle Black Bean Burgers. 2. Breakfast – How to include more protein instead of the usual cereal plant based carbohydrates. More interesting & tasty breakfast recipes using legumes. 1.Easiest for me is to make an open-faced taco of a toasted whole grain tortilla, then hummus base topped with beans and brown rice heated up in the toaster oven, finally topped with fresh salsa and cilantro. Often I end up eating this for breakfast, lunch and dinner when I’m not in the mood to cook. 2. Hardest for me is to reduce cooking prep times for lunch and dinner dishes. I like to eat fresh, seasonal produce, and this generally involves lots of washing and chopping whether it’s for a soup or casserole loaf or scramble. If I can have a sauce or salad dressing ready it helps a lot. I’m not a fan of plain cooked foods. 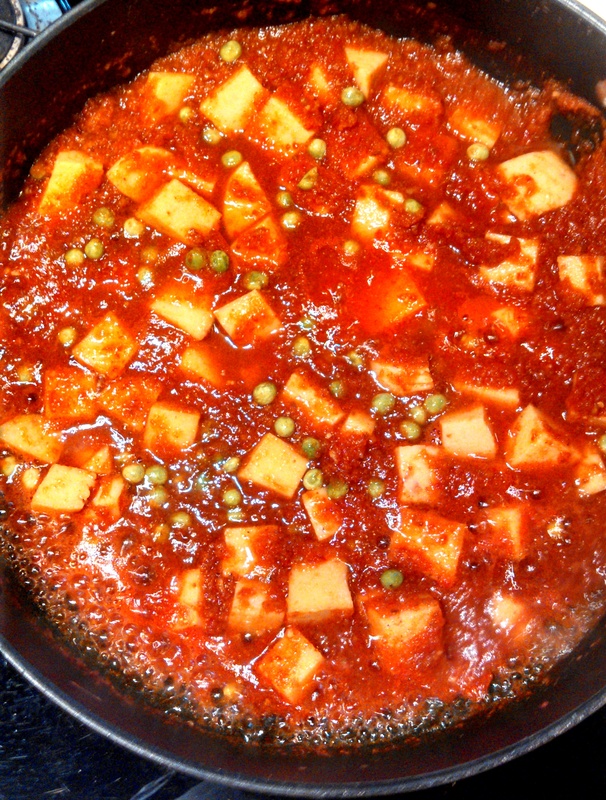 I love Chef Del and Darshana’s recipes from the FOK Cookbook; they’re full of flavor. Breakfast and lunch were the easiest for me to adjust because I eat them by myself at work. I LOVE my homemade soups with beans, veggies and grains!! Dinner is a challenge simply because of the family, they want meat with everything and they think it’s “just soup” or “just beans” WWAAAAAA!! (you can hear it, I’m sure!) I would like to incorporate tempeh, for instance, to ‘trick’ them into trying something new! Wish me luck! Thanks for your inspiration! Like most of the commenters here, I found breakfast a very simple transition – just weaned myself off maple syrup in my oatmeal and substituted grapes. So good. And lunch has been easy too – I make a big pot of soup every Sunday night and it lasts me for lunches all through the week. Very filling. Dinners are my hardest because I get in a rut – rely all too often on frozen vegetables with potatoes or a grain (a la Jeff Novick one pot meals). Sometimes I crave a real “recipe” but find myself too lazy or time-constrained to prepare one. Breakfast is hard for me I need ideas. Breakfast – oatmeal with plant milk. Easy, peasy. Breakfast is easy because there are endless ways to prepare oatmeal! I change it up on weekends, making pancakes, waffles or a scramble. Dinner is hardest because I cook for me and my omni husband. I enjoy soups, stews, and other one- pot dinners, but he does not. I would love to get some new ideas on how to cook for both of us! I think breakfast was the easiest meal for me. I had already switched to soy milk, so hot and cold cereals and smoothies didn’t really change. The evening meal was the most challenging because I was “mostly veg” and was lazily relying on cheese A LOT. I’ve been vegan 2 1/2 years now, so I don’t struggle with meals anymore. I do struggle with staying oil-free when dining out. Thanks for the giveaway. I would love to have this book! Breakfast is easy, oatmeal with fruit, anise, cinnamon, and chia seeds. I have salads at lunch, sometimes with beans or rice on top. Dinner is the meal that is challenging, it takes a lot of time washing & chopping vegetables. Breakfast was the easiest. I love oatmeal, and eat it everyday. Dinner is the toughest. I try to prep before, to make fixing dinner easier, but I’m not always successful. Easiest was breakfast. I have a Chocolate Kale Berry Pudding made in the Vitamix almost every morning. I need sauce recipes to make dinners more interesting. Lunch is easiest. I like soups & a fave of mine is lentils cooked with veggies I have handy. I like salads with fat & oil free dressings. 1. Breakfast is easiest – I’m an oatmeal girl each morning. I vary the fruit I add to it (bananas, apples, blueberries, applesauce) but I like having one fewer thing to worry about each day, so I stick with my oateal. 2. Lunch is where I could use some help. I usually just bring leftovers from the night before. I need a filling meal that I can just grab and go in the morning and I can heats up quickly in the microwave when I’m ready to eat. Breakfast was the easiest. I usually have oatmeal with cinnamon. Or a fruit smoothie made with a vegetable protein. Yummy!! Dinner is the most difficult in making because I run out of ideas and usually eat the same thing most days: pasta and spaghetti sauce or beans and rice. Breakfast is always tough for me. Am not an imaginative cook and cereal gets boring! We have been vegan/nutritarian here for a long time. My greatest challenge is time. I have found the crockpot to be a big help especially with beans and I use a pressure cooker quite a bit. Breakfast has been the easiest. Dinner is the toughest. Some days I can’t resist some cheese or meat. Definitely supper as I love to eat one bowl meals and it really fits the bill. I would love to win this cookbook. I could use a shot in the arm to get me back on track after sliding for about 6 months..My favorite foods are any bean and butternut squash. I could use more assistance with lunch. I get tired of my salads and need them to be more inventive without a lot of extra work. Does the fact that I have the same name help in the winning? Tee her.. The easiest meal is breakfast – our favorite is chopped kale (or other greens), onions and mushrooms(prepped the night before) in the pressure cooker along with a pre-cooked grain and fruit. Or steel cut oats with fruit. Most challenging can be dinner, because we’re hungry and it seems even cooking some potatoes and steaming veggies takes too long. Thanks for the book drawing – it sounds like a great cookbook library addition! I have been plant based and vegan for so long. Just a gradual crowding out …cannot remember where I started. Probably breakfast and lunch. And then finally dinner. Dining out has gotten quite easy. I go for the social aspect, not for the food. So salad, baked potato and steamed broccoli are a great back up plan! Breakfast was easiest because I do a green smoothie and chia gel with hemp seeds and cinnamon. Dinner is most challenging because I want something tasty but not time consuming. Dinner is my easiest to go meatless. I usually substitute with beans. Breakfast is the most challenging. There’s not enough time to prepare much. Breakfast is easy because I cook oats 1 minute, or eat raw, with water and fruit in bowl. Leftovers are good for lunch and dinner. So many choices for recipes. Chopping and long recipes with many steps are the hardest aspects. Still, it’s a labor of love. Cuz the food is always good! I definitely found breakfast the easiest when I switched over. Oats, cereals, smoothies, it just seemed natural to start the morning with plant foods. At the time I found lunch the hardest, what on earth could we put on a bread roll that wasn’t ham!!!!!!!! I still think my lunch time meals are quite boring and would definitely love some new ideas to make them as exciting as all my other meals now! The easiest meal to change was breakfast. Oatmeal is something I enjoy every day. My problem is lunch. I don’t want to eat my leftover dinner for lunch. I want just a lunch not leftovers disguised as lunch lol. 1. Easiest was breakfast. For cereal I changed to almond milk and I often do oatmeal or smoothies, too. 2. Most difficult is dinner. I’m not the best at planning ahead and I always come home hungry so I grab what’s easy and not necessarily the healthiest. Breakfast is the easiest for me. It’s oatmeal or cold cereal with soy milk and fruit. Lunch is the most difficult. I need good ideas for quick meals at work. Dinner has been a challenge at times. My family is not plant based. So I am usually cooking two meals. I am hoping my hubby will transition to plant based really soon. He has a lot of medical problems. 1. Easiest was dinner–potatoes (baked, mashed, baked fries) plus vegetables, and we are good to go. 2. Lunches have been harder. Breakfast during the week is easy, varied smoothies and I also love avacado toast. Breakfast on the weekend especially dining out is a little tricky. I always loved eggs, but am proud when I can make it work…. Dinner was probably the easiest to transition to. I love all the legume and veggie dishes. Lunch is a bit more difficult if I want a sandwich as I am also gluten free. I will be trying more of the spreads . Breakfast was definitely easiest, with oatmeal, fruit, soy milk, or maybe just leftovers from the night before. Lunch was always trickiest because I had to figure out what I could make/pack for lunch that would still be in good condition and delicious many hours later (especially if I prepared it the night before.) I also wanted my food to look wonderful to impress coworkers, who were surely scrutinizing whatever I brought to see if it was just too weird. 1. Breakfast was easiest. I eat oatmeal with dried cranberries, lots of Ceylon cinnamon, ground cloves, some sea salt, ground flaxseed, ground pecans and filtered water and microwave for 1:20. Then I add one sliced banana. I stay full for four hours! 2. Supper is most challenging. I have been eating a lot of beans over rice and soup-type dishes, but I get tired of them. Also, eat many baked potatoes, but I need variety for potato toppings. 1) Breakfast by far. Most commonly oatmeal and fruit. I also love potatoes and beans – and fruit always. 2) Lunch – Figuring out what to pack; what’s easiest to deal with at the office; how much; and oh, the endless plastic containers at the end of the day to wash. The easiest meal to make plant-based is dinner because so many ethic dishes taste great with beans or lentils. Lunch challenges me because I have a hard time thinking of portable, quick, healthy things that I can make the night before and eat in the 30 minutes I have. I could use some new sandwich filling ideas. Correction to above: although the ETHIC is good too, I meant to say ethnic dishes –Mexican, Asian, Italian — are delicious with beans or lentils. Ooh, that curry polenta dish looks heavenly. 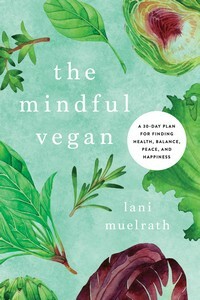 I went veg 15 years ago, after reading John Robbins’ book, “Diet for New America.” I stopped eating cereal for breakfast and started making fruit smoothies in my vitamixer. My lunch was now a loaded veggie burger on Ezekiel Bread. However, now I usually have mock “no tuna” salad on Ezekiel Bread tortilla wraps. I also have a salad with it and a big green smoothie. Recently, we started a local “raw vegan” potluck group and meet once a month to eat and share receipes. I have been learning how to make raw pies and desserts, such as key lime avocado pie. We had a chef come to our group and showed us how to make raw lasagna out of thinly sliced Zukes, and layered with raw marinara, basil pesto and cashew cheese. The easiest for me is breakfast. Steel cut oats cooked in the crockpot on the weekend makes for a great breakfast during the week. Dinner is the hardest trying to find things my non vegan husband will also like so I don’t have to make two meals. I find breakfast very easy with oatmeal and fruit. Second easiest is lunches at work as long as I plan ahead and have meals ready to take with me. I have become very organized at having food planned as long as it is at home. My biggest challenge is eating out which is usually dinner time. I have found myself eating a plate of brocolli for dinner when there is not any other option. It’s funny that I can be satisfied with that while an iceberg lettuce salad with two cherry tomatoes just doesn’t do it for me. All meals are a bit of a challenge as my hubby and I moved into an “Active Living” Senior Building–meals provided. But I have my toaster oven, microwave, griddler, toaster, electric tea kettle and Coffee Press Pot (must have my Peets coffee!) and one-burner hot plate. I saw the film, Forks over Knives and the VegFest here in Portland OR, and was sold. Have all of Dr. Bernard’s books. 1. Lunch is easiest. A kale, spinach, and greens salad with pumpkin seeds, beans (I switch it up a bit), tomatoes, grilled onions, lots of seasonable veggies, and sometimes fruit. lightly sprinkled with apple cider vinegar and sometimes olive oil. 2. Breakfast is most difficult. GF oatmeal and smoothies – I need some variety (and I am allergic to nuts) so have to watch that. Breakfast is the easiest with a grain porridge and fruit, or a smoothie. Dinner is the most problematic…always looking for new ideas that aren’t too involved, for one person. Breakfast is the easiest meal. I have a green smoothie (Kale, carrots, fresh ginger, 1/2 orange or grapefruit & berries) I drink 2 cups for breakfast and sip on the other one during the day so I am never hungry while preparing another meal. Dinner is usually a salad w/beans & steamed vegetables or whatever else I am in the mood to prepare. Lunch is the hardest meal for me. If I am home I will have oatmeal w/cinnamon, fruit & soy yogurt. If I will not be at home for lunch I will pack a PB2 sandwich on organic whole-grain bread. Lunch was easiest transition for me since it is the meal I usually eat alone. I usually have a big salad. Breakfast is the most challenging for achieving variety. Thanks for the giveaway offer. Easiest meal to transition was breakfast. I used to have two hard boiled eggs almost every day with a piece of toast. YIKES! Now I have oatmeal and chia seeds with frozen blueberries. I can always use a little more assist with dinners that are quick to fix, provide variety but not very many ingredients. Would love to have a copy of this new book. It looks amazing. I’ve been plant-based for so long now…but would think breakfast must have been the easiest transition…big bowl of fruit, a bit of whole grain cereal, chia and varying it up with something from the spice drawer…cinnamon, cardamom, coriander, nutmeg, ginger, mace, fenugeek, orange zest. Or, as so many previous comments have shared, the smoothie. The biggest challenge was when you wanted to be able to dine out and enjoy a delicious plant-based meal…not just a side of whatever veggie the restaurant has on the menu. The biggest challenge at home was probably dinner…making the shift from the familiar meat and cheese-based entrees. Lunch is always easy to rustle up. Easiest is breakfast, oats and fruits. Lunch is hardest as I have to pack some kind of lunch. 1) Lunch is the easiest for me! Sometimes I make a green smoothie, but mostly a big salad with all sorts of veggies and a vinegar dressing. Breakfast was easy since I already consumed a lot of oatmeal and fruit. Lunch wasn’t too hard either because I loooove soups and stews, even in the summer. Dinner is tough, as I have to cook for a my meat lover husband. I think Forks Over Knives is the way to succeed. Thanks for all your inspiration. I have had a pretty easy time with all meals, but I guess the easiest has been dinner, roasting some veggies and tossing them with pasta or brown rice is always a simple quick dinner. I have tried all sorts of different recipes and really enjoy experimenting, and love to find new recipes! Cauliflower “chicken” wings are one of my favorites!! Breakfast and lunch has been the easiest.On Sundays I prepare a batch of vegetables and lentils soup and a garbanzo salad that is easy to make wraps.Dinner is harder due to you get home tired and hungry and have to think fast. Breakfast was the easiest meal for me to transition to a plant-based lifestyle because that was pretty much what I was already eating. The most challenging meal was dinner because my family was not as passionate as I in eating plant-based and they felt like the meal was not complete without heavier foods. I am already vegan. I need help with making consistently healthy choices, but breakfast has definitely been the easiest. A green smoothie with several bananas and I’m good to go until lunch. I usually fall apart at dinner because of lack of planning on my part, then I reach for unhealthy “convenience” foods. When my husband and I decided to go plant-based, we went all in. Breakfast was the hardest at first because he had a hard time about the “lack” of protein. Used to the eggs. But he now gets it. Just takes a lot of reading and telling. Lunch and Dinner have become easier over time also. “Where is the protein” again was the lament! He now understands that beans and greens have protein! And enough of it. I am now trying to cook most of my soups and main dishes once a week, having them ready for lunch and dinner for the week. Just add a salad, vegetable side, and some fruit for dessert–we’re set to go. Less of the “I’m tired and hungry” what should we eat going on. Looking forward to seeing this book with the additional reinforcing information and delicious recipes. Breakfast is easiest for me, as it can be oatmeal, a hardy green smoothie, or a breakfast of just fruit. I also love for either breakfast, or lunch, Sweet Potato Pudding from Neil Barnard’s Cancer Project Survivor Guide. They credited this recipe to Vesanto Melina. I tweak it by adding some raw greens. The pudding is 1 cup cooked sweet potato, 1/3 cup dry rolled oats, 1/2 cup milk alternative, 1 TBSP maple syrup, and 1/2 tsp cinnamon. Combine in a blender or processor until smooth. If it is too soupy add more oats, too dry add more milk. I have used dates instead of maple syrup, pumpkin pie spice instead of just cinnamon, and added a banana to add sweetness and reduce the amount of maple syrup needed. I find the pudding is creamier if the oats have had some time to sit in the milk awhile. I like to put the ingredients together the night before, store in frig, and process the next day. If you eat nuts, crumbling some pecans over the top is divine. Dinner, and salad dressing are hardest as I have a hard time giving up olive oil even though I know the reasons why I should. Lani, your Instant Pot review helped me to better utilize it with cooking a whole squash, and a ton of potatoes at one time. Thanks. I found that dinner time was the easiest to transition. I love beans and lentils…so I’ve got lots of ideas for meals in the evening. Breakfast has been a little tougher because I was used to using dairy in the morning. 1. Lunch definitely has been easiest meal: I already was making salads and soups. 2. Breakfast, we’re in a smoothie rut at my house. I need something other than hot cereal that will satisfy a teenager and help with my own weightloss goal. Breakfast is always the easiest as it is a plant based shake made with Pea/Rice protein, frozen kale or spinach and almond milk; or oatmeal made with almond milk and organic prunes. Dinner is always the most difficult as I get home between 6 and 7, must walk the dogs (it doesn’t get done after I sit down, relax and eat), and I don’t seem to have time to prep in the AM/use a slow cooker. Thank you for your help and the chance to win this cook box! The easiest was breakfast. I love oatmeal, and can prepare at home or pick some up at a great restaurant near my office. And I certainly don’t miss the heartburn from fast food breakfasts! I need more help with dinners. I’m usually exhausted when I get home from work and need quick healthy meal ideas. Breakfast is the easiest. I never liked oatmeal until I tried steel cut oats. Now I am hooked. I add a cup of frozen cherries, blackberries or blueberries. Dinners are tough. I am the only plant based person in my house. Typically my meal is everyone else’s side dish. Breakfast was the easiest meal for me. I love a bowl of oatmeal with raisins, walnuts and almond milk! Dinner is the hardest, but getting easier each month! Thanks for the giveaway! Breakfast is always super easy with brown rice pudding…which I just love! I need major help with dinner. I’m always looking for super fast quick and easy recipes that I can just throw together in minutes that taste delish. Breakfast is easiest for me too. I eat oatmeal on occasion; mostly baked sweet potatoes (roasted at 450 for an hour and a half to get them all caramelized, then chill), top with 1/2 carton plain almond yogurt and a handful or 2 of fresh blueberries. I get excited about eating this every morning, and it easily holds me till lunch. Dinner is harder. My husband is omni, and he wants his meat… We end up eating 2 separate meals. I’m always looking for easy ideas! Breakfast is by far the easiest for me due to the simple prep and numerous “quick”, healthy options such as oatmeal creations and plant based yogurt varieties. Lunch has been the bigger challenge for myself. I need to be more disciplined on pre-cooking some easily warmed meals the night before. Easiest: breakfast. Was already doing vegan then anyway. Hardest:dinner, since I eat it with my husband who is pretty tolerant but want some meat. 1) Breakfast was easiest since I usually ate hot cereal anyway. The difference was learning to love it without the butter and brown sugar! I have become quite a fan of savory oatmeal and kale, seasoned with a dash of chili-garlic paste. Also, a bowl of brown rice fresh from the automatic cooker is delicious just as it is. 2) Don’t feel like I need much help with breakfast, lunch, or dinner, but would really like to build a collection of more “festive” meals that still fit within the guidelines. Making low-fat, whole-food, and plant-based meals more “fun”. Breakfast is my easiest meal to make plant based. I have a smoothie with a plant-based protein, hemp seeds, frozen fruit, almond milk fermented greens or fresh and probiotics. Dinner is perhaps the most challenging meal, especially since my family likes meat! I would like to have more ideas for delicious plant based recipes. Breakfast was the easiest. I already ate some oatmeal and other acceptable cereals so switching the milk was no problem. Lunch when I don’t have leftovers. Sometimes I get stuck at the office with little to pick from. Or have 5 minutes to be out the door and take lunch. Small Yukons are winning on that front! Easiest – breakfast since I never did love the typical breakfast foods. Dinner is probably the most challenging. I still have to cook for an omni hubby. After working all day, then cooking his meal, I’m tempted to grab quick & easy. I try to have cooked beans and grains in the freezer in portion sizes. I can add fresh or frozen greens & salsa for a quick bowl. I’m always open to new ideas & options! Breakfast and lunch were real simple. A green smoothie or cereal/oatmeal for breakfast, and a salad for lunch. Dinner was more difficult, however I prefer lunch to be my big meal, so a huge salad with some chick peas and/or hemp seeds and avocado satisfies me and I can have a light dinner. Breakfast was easy because I don’t mind oatmeal every day but I also don’t mind left over rice and veggies. Lunch is a problem because I don’t want to eat last night’s dinner for lunch. I want a “lunch” not dinner again. I know it’s crazy because I can have dinner for breakfast or breakfast for dinner sometimes but lunch is lunch lol. Breakfast is easiest for me. Just eat oatmeal or cold cereal like Shredded Wheat, GrapeNuts with Almond Milk and fruit in season. Lunch usually is a large green salad with all the veggies and some garbanzo beans with basalmic vinegar and apple vinegar or sometimes mango=orange dressing. Dinner is hardest as I need to add more variety besides soup! I have found both breakfast and lunch to be easy. I keep it simple. I find dinner, however, to be much more challenging. I have enticed both my husband and my son to join me on my plant-based journey. I really want to “hit the ball out of the park” to keep them there with me. I am looking for tasty, yet healthy, dinners that are easy to put together and cook at the end of a long day. Breakfast is easy, I enjoy oatmeal with my fresh almond milk, bananas and frozen cherries that have thawed out…I also enjoy green smoothies and just fruit some mornings…Lunch is usually my dinner as well and my favorites are a huge salad, black eye peas and sweet potato. I would love to win the book, good luck to all!! Both breakfast and lunch are easy, but we love our lunch of a soup with a healthy base and then add to it fresh veggies, lots of kale and possibly add in a grain w/ veggie leftover from the night before! Makes it like a stew. Then a hummus wrap with whatever veggies are in season (right now peppers, cucumber, red onion, tomatoes and romaine). It’s easy and quick and always delicious. We make our own hummus with garbanzo, lemon juice, a smidge of tamari and smoked paprika and turmeric (maybe some red pepper flakes) and water to bring it to the right consistency. Note: NO OIL. Breakfast was easiest because I do oatmeal, and I can change the variety of toppings by what fruit is in season! Hardest is dinner because of trying to please a picky 12 year old who likes very few things and will reject a particular brand of something he typically loves if it does not taste “right”. Breakfast was the easiest as I now do a Complete smoothie with chia seeds, frozen organic fruits and berries. Also I bake alot of kale so I usually have some chips (kale) chips to satisfy my need to chew. Lunch is easy as I do eat alot of salads but dinner is tough as my husband is not as health conscience as I am. Also, with smooties and salads during the day I feel the need to have a more filling meal and one that satisfies the chewing issue. Hard for me to fulfill this need and always keep it healthy. 1. Lunch is easiest for me. Yummy salad with lots of veggies and avocado with whatever legumes I have. 2. Breakfast is hardest for me especially on weekends. Eggs were an easy standby before. onions, garlic & veggies takes about 10 min. When I come home the house smells delicious with the smell of the crock pot. Weekends & holidays are my friend. I have time to cook a nice dinner in the evening. The easiest meal was breakfast. I switched from having heavy grains and or heavy sausage and meats to having a high plant based protein shake with tons of fruit and veggies every morning. Even though I do pretty god for dinner my trouble spot is lunch! We were all so used to sandwiches so now if we do not have left overs from dinner I still get lost on what to make for myself and the kiddos. HELP! Breakfast was the easiest to transition, since we usually have oatmeal, both fruity and savory,or cereal and non-dairy milk. Lunches are harder for me unless we have leftovers from dinners. I find lunches require more planning to stave off boredom. 1. Breakfast has always been the easiest. Because oatmeal with or without fruit is always easy and natural. 2. I find dinner the hardest. It feels like it takes more thought to plan meals, cut veggies and make something that will appeal to my husband as well. 1) Breakfast is easiest for me. Everyone in the house usually does their own ‘thing’. That leaves me free to eat muffins, potatoes, oatmeal, etc. I can also make plant based items that the whole family will eat (muffins, pancakes). 2) The hardest for me is dinner. I find i difficult to serve anything that everyone in the house will eat. I generally have to make modified versions of things for everyone and that leaves me feeling frustrated. 1. Breakfast was for me the easiest to transition to plant based. •	Oatmeal with chi seeds, nuts and fruit. •	Scrambled tofu with hash browns. 2. Dinner! I could use a lot of help with dinner. The easiest meal was breakfast on the weekends. I found a cookbook that had wonderful recipes in it and a fravorite is Double chocolate pancakes or at least that is what my grandson calls them. The meal that I could use a lot of help on is diner planning, especially during Holidays. Hands down breakfast was easiest to transition to. Our go to breakfast is oatmeal, whether it be peach, banana-blueberry, strawberry or pumpkin pie. It’s quick, tasty and satisfying. I am always looking for more suggestions for dinner. I love to cook and try new recipes. Sometimes I can get into a rut and finding new and diverse foods to eat is sometimes difficult when you are on a limited diet. Breakfast is definitely the easiest for me personally. Overnight oats with a plant-based protein powder or fruit and nuts is just so simple and satisfying. I could definitely use some help with dinner…that’s when I’m the hungriest as it’s typically my post-workout meal. Thanks for the awesome giveaway! Breakfast was the easiest as I have always enjoyed cereal, I just switched to almond milk or oat milk. I love the overnight oats with a tsp of cacoa nibs and tbs of chia seeds. I eat half when I wake and the other mid morning at work. Dinner was the hardest, favorite dinner now is rice and beans, so easy my husband makes it. I think breakfast is the easiest at home, but often most difficult when eating out. At most restaurants, you are limited to a bowl of oatmeal if you wish to avoid eggs, bacon, sausage, etc. And often you can’t even get non-dairy milk to accompany your bowl of oats! But at home I can add some healthy nuts and fruits to my oatmeal or whip up some tofu scramble and toast. Breakfast and lunch are the easiest for me, during the work week. I have oatmeal and fruit for breakfast. A green salad with kidney beans and fruit for lunch. Dinner and the weekends are the most challenging! Breakfast by far has been the easiest! Uncooked oatmeal with almond milk topped with dates,coconut,blueberries,bananas and a few pecans. I have been eating plant based for so long that it is the normal way to eat for me. My closest family and friends are no problem. The ones who are not plant based are supportive, they love my cooking, and even find plant based recipes to cook for me. We worked things out long ago. It is the extended family and friends, coworkers and new aquaintences that are sometimes difficult to eat with. I have been on a natto kick for breakfast. I was never real fond of the frozen stuff, but I found a fresh, organic natto and I love it. I do the traditional Japanese breakfast of natto rice, with miso soup and a steamed green, and I have experimented and created new ways to prepare it, as well. Keep up the good work, Lani!! The new giveaway is nice and thanks for sharing.